24-Year Dallas Firefighter to Head L.A. County Dept. The new chief of the Los Angeles County Fire Department is P. Michael Freeman, an assistant chief and 24-year veteran of the Dallas Fire Department. Freeman, who was born in Santa Monica and lived in the Los Angeles area for nearly 10 years as a child, was selected by the Board of Supervisors in executive session Tuesday. He will assume the post of county forester and fire warden on Feb. 13 at a salary of $110,000 a year, $14,000 more than his predecessor, John Englund, who retired Nov. 1. Freeman was picked over four other finalists, including three present members of the county Fire Department--Assistant Chief John M. Cummings, 48, Deputy Chief David L. Hanson, 50, and Deputy Chief William Zeason. The other candidate was Carlos E. Perez, chief of emergency medical services for Dade County, Fla.
"I'm very pleased with the selection of Chief Freeman, who was the unanimous choice of the members of the Board of Supervisors," said Board Chairman Ed Edelman in announcing the selection. The Dallas Fire Department has about 1,700 members, providing fire protection for 400 square miles with about 940,000 residents. The Los Angeles County Fire Department has about 2,600 employees and serves 2.3 million people. Since 1982, the 43-year-old Freeman has served as assistant chief of emergency operations, the No. 2 Fire Department position in Dallas. He joined the department in September, 1964, and rose through the ranks from rookie firefighter, driver-engineer and station fire captain in the business area of Dallas. 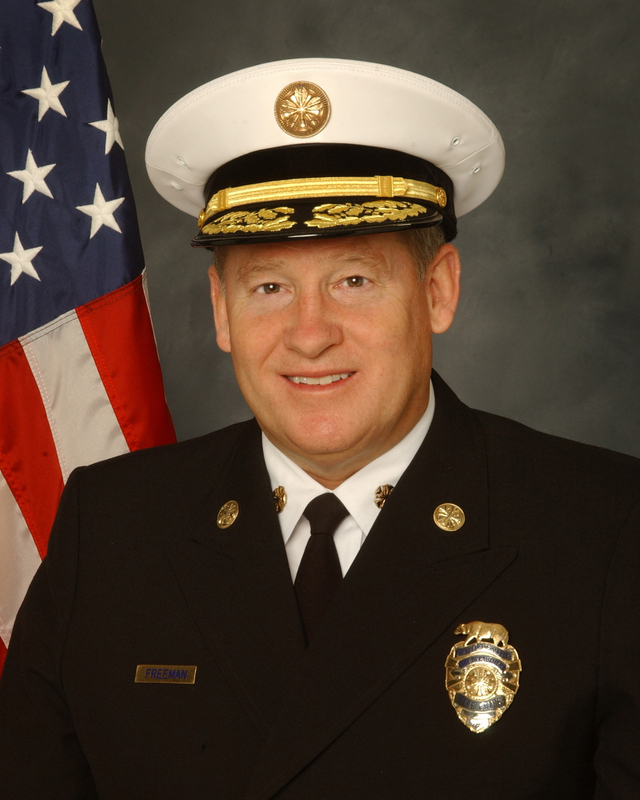 Moving into administration, he also served as a battalion chief in the research and planning division and acting division chief for training. "I'm certainly very pleased," Freeman said in a telephone interview from Dallas fire headquarters. "I consider it a tremendous honor. I have always had a high regard for the Los Angeles County Fire Department, and I see it as a professional challenge to make the transition." Asked about possible changes he might make in his new post, Freeman said it is too early to talk about that. "I think there's got to be a time for me to get to know the individuals running the department," he said. "I really don't think I can be effective until I get up to speed. I've got to get to know the organization, and they've got to get to know me." Freeman lived in and around Los Angeles from 1945 to 1954, residing first in Santa Monica, then in Redondo Beach, Monterey Park and Arcadia, where he attended elementary school before his father, who worked for an insurance company, moved the family to Phoenix and finally to Dallas. He attended Hillcrest High School in Dallas and graduated in 1969 from Southern Methodist University in Dallas with a bachelor's degree in public administration. Freeman's resume includes a note that he had been selected by the city manager of Dallas to serve as interim director of the city Personnel Department. The resume describes him as a "team player with exceptional communications skills."